Boats are supposed to float, right -- but not those on blocks in storage for the winter. 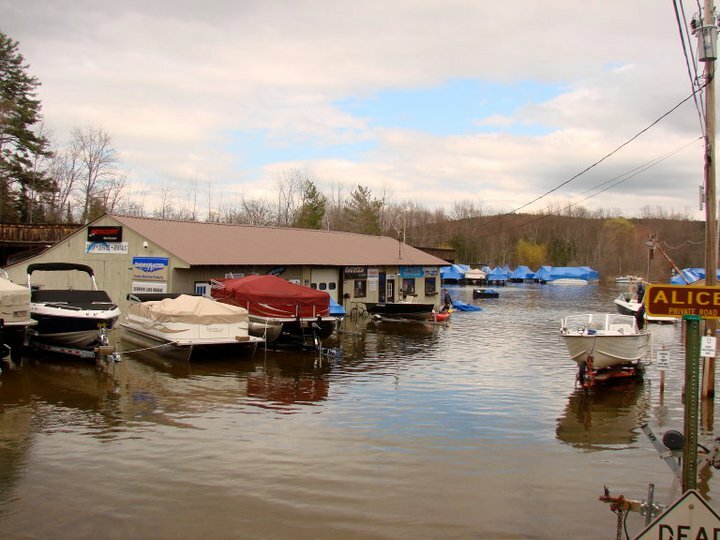 The weekend floods caused that to happen to some pontoon boats on blocks at the Schroon Lake Marina, says owner Craig Kennedy. "Yeah, it was pretty crazy up here, well it still is," Craig told Schroon Laker. The showroom had about 18 inches of water. "The great clean up has begun"
We wish Craig and everyone impacted by the floods all the best with their clean up efforts.